The North Carolina Department of Biomedical Engineering seeks your help in investing in North Carolina’s students, technical advances and innovative entrepreneurship. BME plays a vital role in shaping the research leaders of tomorrow and producing the next generation of medical improvements. This program is particularly important to North Carolina as it forms a robust bridge between two of the state’s greatest assets: the School of Medicine at UNC-Chapel Hill and the College of Engineering at NCSU in Raleigh. The joining of these two units results in a significant competitive advantage compared to their peer institutions. Your funding ensures we can continue to pursue our strategic initiatives in education and technology advancement in North Carolina. 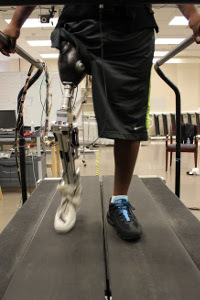 The field of biomedical engineering is at the cutting edge of modern technology. Gifts have a direct impact on students by allowing BME to access the latest and most relevant educational materials. Funding also enables us to attract the best and brightest educators and students and provide them with support throughout their education. BME has made exceptional progress since its inception in 2003, even in the face of significant budget cuts over the past 3 years. In spite of these curtailed resources, the Department produces well-trained biomedical engineers, cutting edge technologies and promising companies that will serve to keep North Carolina competitive on a nationwide and international scale. With your help, the Department of Biomedical Engineering can become a startup powerhouse, making BME a great place to invest. All gifts play an important and tangible role in our department. We appreciate your support and commitment to providing the best biomedical engineering education, research and entrepreneurial opportunities in North Carolina.